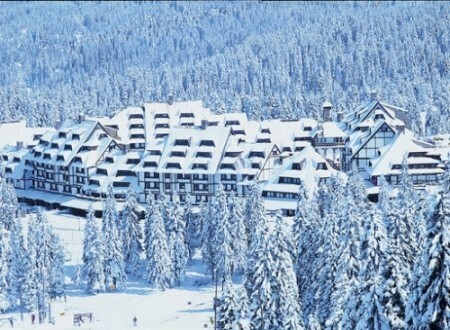 Our ski hotels and self-catering apartments in Kopaonik Resort in Serbia are available to book online as Accommodation Only. We have two 4-star hotels, one of them offering All Inclusive Light service, and there is an apartment complex for self-catering ski holidays. Kopaonik is the largest ski centre in Serbia and one of the most beautiful tourist destinations in this part of Europe.The top class terrains of the ski centre feature more than 55 km of slopes for Alpine skiing and 18 km for Nordic skiing, providing an immense enjoyment to all categories of skiers, from the very beginners to the well experienced ones. Three slopes are in compliance with the FIS standards for slalom, giant slalom, super slalom and downhill. Kopaonik features well-arranged snowboard park while safari, a special ski challenge out of the arranged tracks is organized for the adventure seekers. The resort has recently launched the brand new lift and two new slopes.